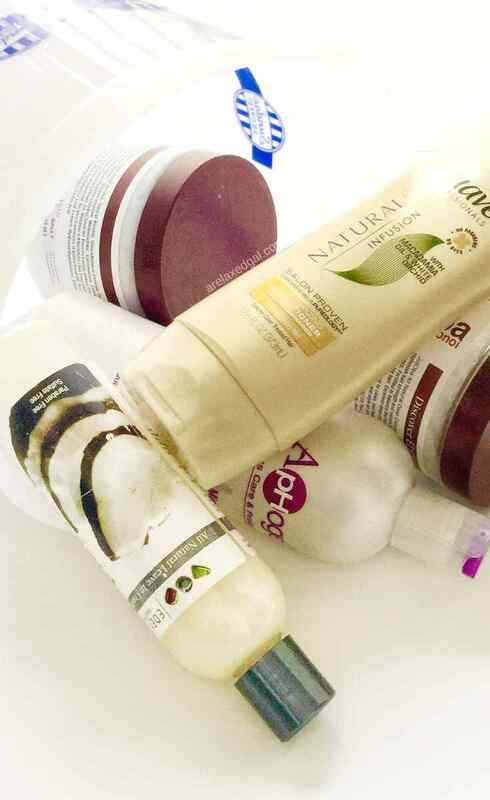 Conditioners are an important tenant of a good hair care regimen. They come in all shapes and sizes or more specifically all kinds of types and uses. Conditioners are great providers of strength and moisture, but the key purpose for a conditioner varies based on the type of conditioner it is - a rinse out conditioner, deep conditioner, or leave-in conditioner. Finding a hair conditioner can be just as, if not more, overwhelming than finding a shampoo. To reduce that feeling of being overwhelmed it helps to know what types of conditioners are out there and when in a regimen they are meant to be used. These can also be called instant conditioners. They aren't meant to be applied for long lengths of time like a deep conditioner as they don't get absorbed by the hair shaft. Instead, they coat the hair shaft and can be used daily or every time the hair is washed. Rinse out/instant conditioners can be used before shampooing as a pre-poo, as a co-wash, or after shampooing if the deep conditioner is skipped. These conditioners are to be left on the hair for several minutes before they are rinsed out. Their main two purposes are to repair hair that is dry or damaged and to prevent dryness or damage. It's recommended that a deep conditioner is used at least once a week after shampooing. Hair masques are a type of deep conditioner, but they have a higher, richer concentration of ingredients so they don't need to stay on as long as a traditional deep conditioner. They can also cost more than a traditional deep conditioner because of the better ingredients. 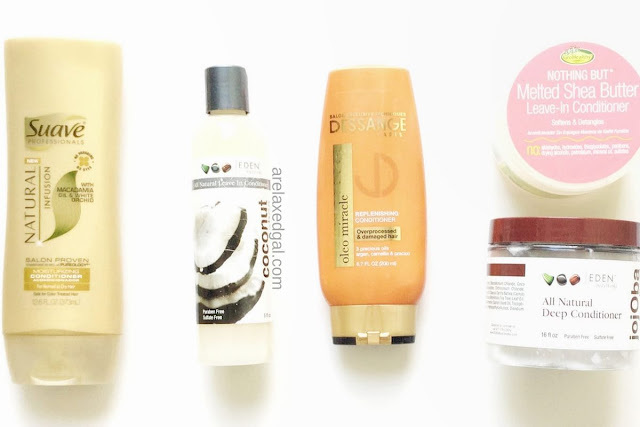 Per their name, leave-in conditioners aren't meant to be rinsed out. Unlike rinse out and deep conditioners, they have a lighter blend of penetrating ingredients to help keep strands soft and moisturized between shampoos. Don't forget to seal the moisture in with a serum or natural oil. While the best type of conditioner for relaxed hair will vary from head to head, typically the best conditioner is one that moisturizes and strengthens without leaving any residue or weighing down the hair. It should also help with the detangling process. The specific ingredients used will depend on whether the conditioner is meant to be rinsed out, a deep conditioner or a leave-in. With that in mind, what are the key ingredients to look for in a good conditioner? This is the best natural moisturizer. They help reduce frizz and help with detangling though they will vary based on the type of conditioner. For deep conditioners look for ingredients like behentrimonium chloride or behentrimonium methosulfate. Such as glycerin or honey to help draw water and moisture into the hair shaft. They are good alcohols and another source of moisture. Some of the better moisturizing alcohols are cetyl alcohol, myristyl alcohol, stearyl alcohol, cetearyl alcohol. Such as avocado oil or olive oil that can penetrate the hair shaft. The oils provide lubrication, softness, and shine. In deep conditioners look for sealing oils such as shea butter or soybean oil. These proteins are created to be small in size so they are easily absorbed and reach the second layer/cortex of the hair strand. Once absorbed they provide some protection to the hair helping to increase body and shine. They also help reduce brittleness and breakage. Some common hydrolyzed proteins are hydrolyzed keratin, hydrolyzed wheat protein, hydrolyzed silk protein. Here are some examples of conditioners that I found online with really good reviews or are ones that I have used myself and like.